Doom returns to popularity in gaming with a new installment to the series next month. 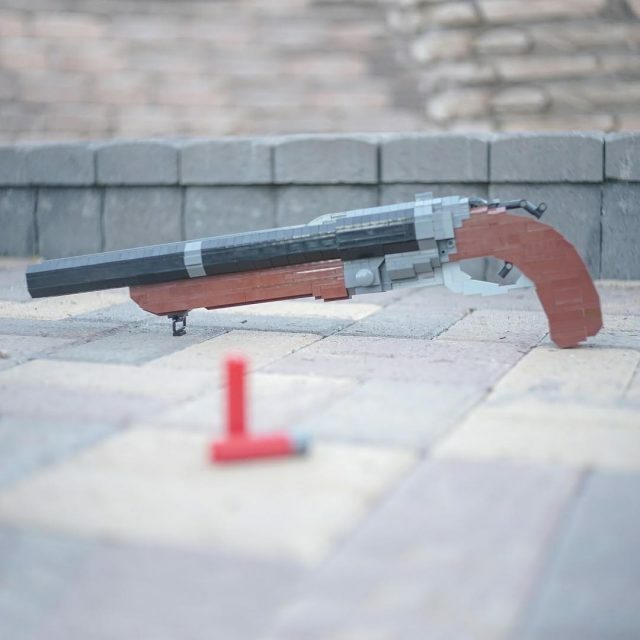 What better time than now for YouTube LEGO builder ZaziNombies to build one of gaming’s most infamous weapons, the BFG 9000 (“Big F***ing Gun”) from Doom (1993), in 1:1 scale. Weighing over 20 pounds and built from over 5000 LEGO pieces, ZaziNombies’s detailed replica of the BFG more than lives up to the name. See it hauled around, discussed, and shown from the first person perspective in this three minute video. 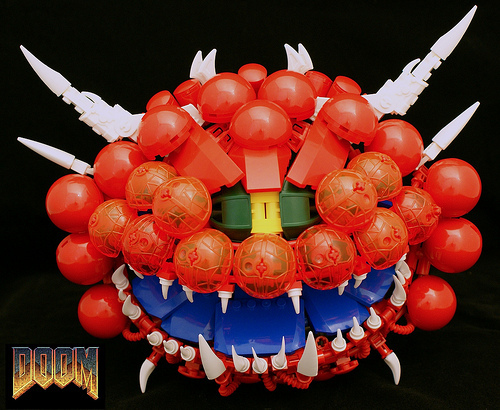 Bart De Dobbelaer has built a classic “baddie”, the Cacodemon, from the iconic and controversial video game “DOOM“. It is so perfect (and adorable) I need one…or three. EDIT: I had originally written that the Cacodemon was introduced in DOOM 2, but I was in error. Many thanks to Peter Morris for the correction!